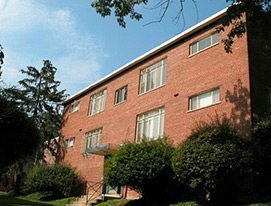 Bethesda, MD – ROSS Management Services was awarded the management contract for Pleasant Hills Apartments in Washington, DC commencing on October 1, 2013. The garden style, 106-unit apartment community is located in the historic Brookland neighborhood of North East Washington, DC. Pleasant Hills features well-designed one and two bedroom apartments, located between the Fort Totten and CUA/Brookland Metro stations, convenient to downtown Silver Spring and DC.